The Villages, Florida United States - COURTYARD VILLA IN THE VILLAGES FL TWO BEDROOM PET FRIENDLY | RE/MAX PREMIER REALTY Inc. This beautiful 2 bedroom 2 bath Callaway model is located in Southwood Villas in The Village of Tamarind Grove. Close to both Sterling Heights Recreation Center and Tamarind Grove adult pool. This unit is tastefully decorated with a very updated look. Master bedroom has a king bed, walk in shower and double sinks and a flat screen TV. Second bedroom has a queen bed with guest bathroom . Living room has also with a flat screen TV, W-Fi and cable are provided. Small dog friendly. 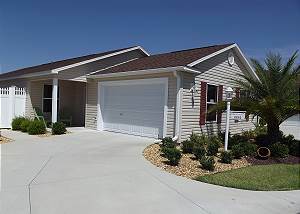 Marvin S. from Chesterfield, VA US recommends this vacation rental.